Beginning August 1, high school seniors throughout Clark and Floyd counties will have the opportunity to apply to receive generous, well-earned four-year scholarships through the Community Foundation of Southern Indiana. The scholarships are the result of a statewide Lilly Endowment, Inc. initiative to help Indiana students attain higher levels of education. Two students each from Clark and Floyd Counties will be selected to be Lilly Endowment Community Scholars and receive the gift of a four-year scholarship. In addition to full tuition to the accredited Indiana college or university of their choice, the students will receive a $900 annual stipend for books and equipment. This past year, Thomas Beimrohr (Jeffersonville High School), Sarra Debbabi, (Jeffersonville High School), Ethan Furnish (Our Lady of Providence High School) and Emily Mathews (New Albany High School) earned these generous scholarships.  The Lilly Scholarship online application will open August 1 on the Community Foundation’s website at www.cfsouthernindiana.com. Completed applications will be due to the Community Foundation by noon on September 10.